Please note: a 2 week minimum stay is required; we are not allowed to rent for less then 2 weeks. - The Clearwater / St. Petersburg area welcomes you to its white, sandy beaches, beautiful nature preserves, exciting amusement parks, championship golf courses and . . . our great vacation home. Naturally blessed with ideal weather, navigable waterways, fascinating sea life and an impressive concentration of fine restaurants and shopping, Clearwater Beach is the perfect place to spend your vacation. - Our vacation property is of the highest quality. It is exceptionally comfortable, self catering and turn-key furnished for your maximum comfort. We are not a rental agency, we own our vacation property, direct on the beach. What does this means to you: We take meticulous care of our property and our guests. 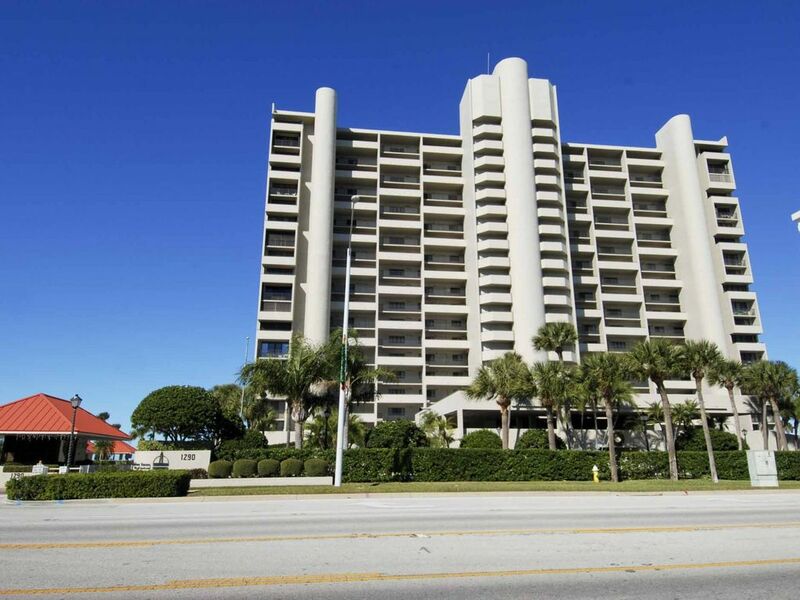 - Lighthouse Towers is one of the newer and exclusive direct Beach front buildings on Sand Key. Please submit your reservation at least 20 days before your arrival, otherwise there is not enough time for us to get the approval from the Condo Association. The Beach is right in front of your apartment. The Beach here is quiet and scenic, perfect for evening strolls. Clearwater is rightly famous for the pristine beauty of its beaches and waters. . All the great restaurants, shops, and attractions are close, but not too close. Amenities on Site: Pool, spa, shuffle board, putting green, tennis, club house, wet bar with BBQ, 24 hours security, gated entrance, reserved parking. Theme Parks in Orlando. The Florida attractions in Orlando are about 90 minutes by car from the apartments. The Interstate offers an easy access to the Orlando attractions. It is easy to drive to the Orlando area, enjoy a day's worth of attractions and return to your apartment that evening. Please submit your reservation at least 20 days before your arrival, otherwise there is not enough time for us to get the approval from the Condo Association. Please note: Because of the rules & regulations issued by the Condo Association a check in after 10:00 PM is not possible. No exemptions ! !